Adjacent to the new transport interchange and the ring road Smithfield is easily accessible from all parts of the city and further afield being only 4.5 miles from J15 of the M6. 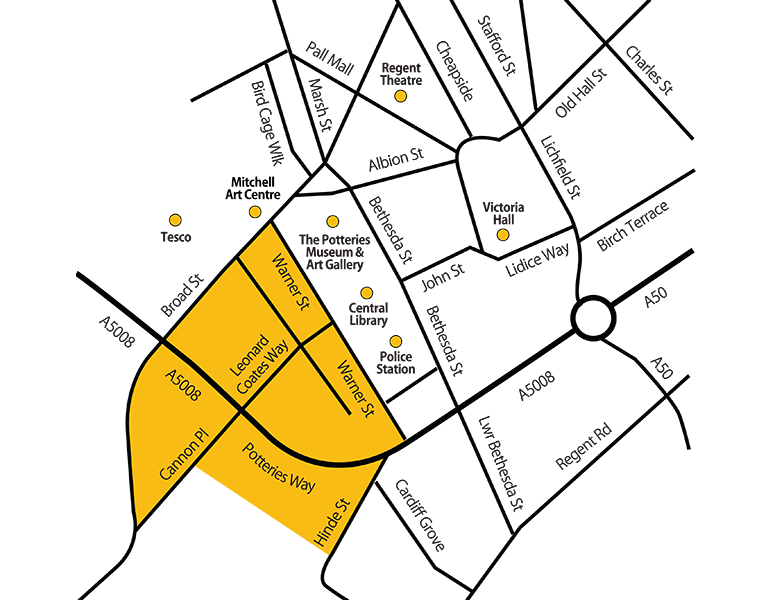 Smithfield is ideally located to benefit from all the city centre amenities. Stoke-on-Trent is located at the centre of an important north-south, east-west gateway providing easy access to the wider region and the UK. The M6, M6 toll and the M1 via the M42 are all easily accessed, there are three airports within an hours drive time (Manchester, Birmingham & East Midlands) and you can be in London in 90 minutes on the train, with two trains every hour, as well as Manchester in 40 minutes and Birmingham in 50 minutes.